The easiest way to improve your home’s air quality in the winter is by: eliminate, isolate and ventilate. By eliminating the pollutants, you get rid of as many unnecessary chemicals and other pollutants in your home as possible. Almost everything in your home some kind of chemical [nail polish, perfumes, etc.]. While the levels are generally not high enough to cause you to worry, they can irritate certain allergy and asthma symptoms. The best way to get rid of harmful chemicals is to figure out what you have and what can be swapped a healthier version of the same product. Many household cleaners come in low chemical varieties that can be used to improve your indoor air quality. If you smoke, do so outside. Smoke is the leading cause of poor indoor air quality in many homes. Isolating pollutants you can’t get rid of and store out of reach of children. I can be downright impossible to eliminate all of the harmful chemicals in your home. The ones you can’t eliminate, isolate. Keep kitchen chemicals locked up under the sink until you need them, store things like paint and fertilizer in the garage by an open window, and keep anything else as out of the way as possible. Another important step is to have your gas appliances checked out during the winter so you can make sure they’ll run safely at all times. Ventilate your home as much as possible to improve air flow and reduce moisture and pollutants. The best way to improve your home’s indoor air quality is to make sure your home is well ventilated. Make sure you have a good ventilation system in place. A well-balanced whole house ventilation system can substantially improve your indoor air quality without compromising your heating efficiency. Questions?? Email us at news@progressiveac.com or call us at 770-253-2665. What Are The Most Common Indoor Air Pollutants? In Georgia, people may not think about air quality as much during the winter due to the lack of outdoor air pollutants…but what bout inside? Have you ever thought about how dry and scratchy the air is inside when it’s cold outside? Dry air can have several problems including drying out your wood floors and furniture as well as making it difficult to breathe, especially for people with allergies and asthma. Being indoors with almost no ventilation can cause many issues. From spring to summer, you can keep windows open to maintain good ventilation, and you stay outside a lot more. During the winter, windows stay shut to keep the cold air out, and you stay inside most of the day. Biological pollutants [pet dander, mites, mold, etc.] are harmful because people can be allergic to just one or several of them – and being inside with them makes everything worse. Dust can be easily prevented by a strong air filter. Combustion gases [like those that come from a gas furnace or stove] are normally vented harmlessly outside but can be deadly if they leak into your home. Tobacco smoke can get inside even if you smoke outside, mainly carbon monoxide and formaldehyde. Pesticides and chemicals can come from all over the place. Fumes from spray for bugs over the summer, air fresheners and cleaning products can contribute to your indoor air quality issues. Make sure your filters are fresh and clean. Air filters are designed to trap indoor air pollutants before they can escape into your air. They fill up much faster in the winter. Make sure to replace them monthly. If your air is pretty dry inside, check into a humidifier. Call us at 770-253-2665 for more information, or visit out website at http://www.progressiveac.com. We hope you have found our series on indoor air quality useful. Please feel free to comment with any questions you may have and we’ll do our best to get an answer to you in a timely manner. We firmly believe that knowledge is power, and one can never be too careful about the quality of the air you are putting in your body! In March, we will give you guys a lot of information on what kind of Progressive Heating and Air really is. And remember – the best compliment you can give us is to refer us to your friends and family. It is particularly important to take as many of these steps as possible while you are involved in short-term activities that can generate high levels of pollutants–for example, painting, paint stripping, heating with kerosene heaters, cooking, or engaging in maintenance and hobby activities such as welding, soldering, or sanding. You might also choose to do some of these activities outdoors, if you can and if weather permits. For more information about air-to-air heat exchangers, contact the U.S. Department of Energy‘s Energy Efficiency and Renewable Energy‘s Office (EERE) at www.eere.energy.gov/. You may contact the EERE Information Center with questions on EERE’s products, services, and 11 technology programs by calling 1-877-EERE-INF (1-877-337-3463). The effectiveness of an air cleaner depends on how well it collects pollutants from indoor air (expressed as a percentage efficiency rate) and how much air it draws through the cleaning or filtering element (expressed in cubic feet per minute). A very efficient collector with a low air-circulation rate will not be effective, nor will a cleaner with a high air-circulation rate but a less efficient collector. 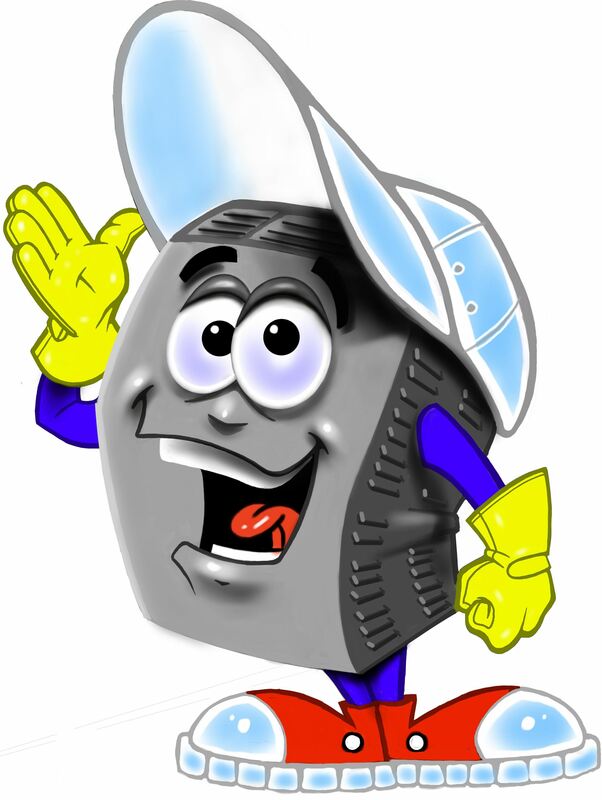 The long-term performance of any air cleaner depends on maintaining it according to the manufacturer’s directions. At present, EPA does not recommend using air cleaners to reduce levels of radon and its decay products. The effectiveness of these devices is uncertain because they only partially remove the radon decay products and do not diminish the amount of radon entering the home. EPA plans to do additional research on whether air cleaners are, or could become, a reliable means of reducing the health risk from radon. EPA’s booklet, Residential Air Cleaners, provides further information on air-cleaning devices to reduce indoor air pollutants. For most indoor air quality problems in the home, source control is the most effective solution. This section takes a source-by-source look at the most common indoor air pollutants, their potential health effects, and ways to reduce levels in the home. (For a summary of the points made in this section, see the section entitled “Reference Guide to Major Indoor Air Pollutants in the Home“). “Should You Have the Air Ducts in Your Home Cleaned?” was prepared by EPA to assist consumers in answering this often confusing question. The document explains what air duct cleaning is, provides guidance to help consumers decide whether to have the service performed in their home, and provides helpful information for choosing a duct cleaner, determining if duct cleaning was done properly, and how to prevent contamination of air ducts. The most common problem with indoor air quality is leaky ductwork. Whether your home is allowing air in our out, it is equally as bad. A third way to decide whether your home may have poor indoor air quality is to look at your lifestyle and activities. Human activities can be significant sources of indoor air pollution. Finally, look for signs of problems with the ventilation in your home. Signs that can indicate your home may not have enough ventilation include moisture condensation on windows or walls, smelly or stuffy air, dirty central heating and air cooling equipment, and areas where books, shoes, or other items become moldy (see www.epa.gov/mold). To detect odors in your home, step outside for a few minutes, and then upon reentering your home, note whether odors are noticeable. Information courtesy of the EPA.